Jazzdelapena: According to your book, many Puerto Rican musicians who were active during the early history of jazz (1900-1939) have been ignored or forgotten. To what do you attribute the lack of interest? Basilio Serrano: It’s carelessness on the part of the Puerto Rican intellectual community, the university faculty and the people who are most likely to write about it. As time passes, we lose what has transpired. If someone is not documenting the information, it gets lost. Also, many Puerto Rican musicians were mistaken for Cuban musicians. Journalists assumed that documenting them as “Latin” or “Cuban” musicians was fine, but it wasn’t fine because Puerto Ricans became “other” Cubans. Also, musicians such as Mongo Santamaría, Chano Pozo, and Mario Bauzá were so significant recently they overshadowed many who came before. I’m reading the book, Stormy Weather: The Music and Lives of a Century of Jazz Women by Linda Dahl, who states, Marie Lucas, a trombonist, and band leader who operated out of the Howard Theater in Washington, DC. Dahl quotes Lucas, who recalled a conversation with guitarist-banjoist Elmer Snowden, who says, “She recruited from as far away as Cuba. There she obtained the services of trombonist Juan Tizol, later a key member of Duke Ellington’s orchestra.” Juan Tizol is Puerto Rican. In The Book of Salsa: A Chronicle of Urban Music from the Caribbean to New York City (University of North Carolina Press, 2008), author César Miguel Rondón describes Tito Rodriguez as, “an extraordinary Cuban vocalist who broke with the modes and influences of Cuban singing and went on to become the most famous singer in the Caribbean.” Tito Rodriguez was born in Santurce, Puerto Rico in 1923 to a Cuban mother and Puerto Rican father. Perhaps therein lies the confusion. Either way, it goes to your point of Puerto Ricans being denied the recognition they deserve. Does academia see the study of music as trivial and inconsequential. Does race and class play a role? A lot of academics write sociology, psychology, and political science but when you mention that you’re writing about music or the music community, suddenly it’s not serious, important, or significant. It’s a bias. Little do they know, through the music environment and the community in which the musicians found themselves, much can be said that’s sociological and political. I make references to a lot of political situations in my essays. I use the discussion of a musician to talk about the Jones Act (1917) and the Cabotage Law, which restricts the carriage of goods or passengers between United States ports to U.S. built and flagged vessels, which is one of the reasons why Puerto Rico is in ruins. Some academics don’t make the connection; they think I’m talking about, “He hit a Flat C and went into a solo.” That’s part of it, but that’s not all of it, the story is far more complicated. There are exceptions to the rule. Juan Flores (1943-2014), was a professor of social and cultural analysis at New York University, who wrote more than a dozen books and edited many collections of essays. He is considered to be an outstanding advocate for Puerto Rico and his books include “From Bomba to Hip Hop” (2000), a study of the ambiguous citizenship status of Puerto Ricans, and “The Diaspora Strikes Back” (2009), about the mingling of Caribbean, African and Central American traditions in the New York Latino landscape. At Old Westbury, where I teach, a Dean asked me why I write about the lives of musicians. I explained that it was part of my field. Also, in addition to teaching I write curriculum. I used to write curriculum for the New York City Board of Education, and one of the things I learned is, the resources and the documentation of the history weren’t there, so I had to do the research and write the curriculum. Writing curriculum facilitates the life of the teacher, and it’s a resource and a foundation for writers, historians and anyone who is interested in the subject matter. 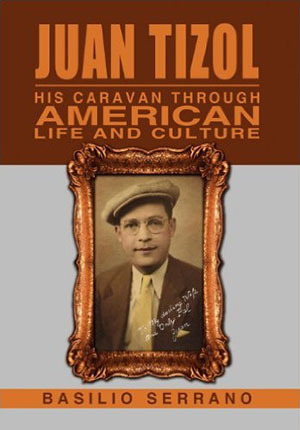 Recently, I looked up my book, Juan Tizol – His Caravan Through Life and American Culture on the World Catalog (Worldcat.org) and I was surprised to learn it’s available at several libraries, including Princeton, Harvard, Columbia, Berkley, the Library of Congress and the Smithsonian. If it’s there it will eventually make its way to other libraries, and will be available to anyone who wants to learn why, someone like Juan Tizol, who was as white as a ghost and who didn’t speak English, came to the U.S. and integrated himself into a jazz format he was not familiar with. I attribute Tizol’s success to the strong emphasis Puerto Rico places on music education and the municipal band tradition, which produced many gifted musicians, composers, and bandleaders, including Rafael Hernández. In the book, I include a picture of music teacher Juan Viñolo Sanz who was born in Spain and taught at the Boys Charity School in Santurce. One of his students was bassoonist Angel del Busto Quintana. Del Busto went on to teach at Columbia, Julliard, and Rutgers. Viñolo Sanz was an example of the kind of teacher the future jazz musicians had. A good portion of your book is devoted to James Reese Europe and the 369th Regiment aka the Harlem Hellfighters, which was made up of African-American and Puerto Rican recruits who distinguished themselves in heavy fighting, received France’s highest honor and introduced an early form of jazz to France. Europe traveled to Puerto Rico in 1917 to recruit soldiers and reed players for the regiment. Why did Europe choose Puerto Rico? Also, given the fact that he did not speak Spanish or know his way around the island, who do you speculate was the connection on the other end? The other speculation is, the New Amsterdam Music Association (NAMA) awarded Rafael (Ralph) Escudero a scholarship to study in New York (1912), and Reese Europe was active with NAMA. They make contact and Escudero says to Europe, “There are a lot of guys like me in Puerto Rico.” Those are the two possible explanations for why Europe went to San Juan to recruit Puerto Rican musicians. I think it was the bandleader, Manuel Tizol. In my book, there’s a picture of the Jolly Boys, a band directed by Rafael Hernández. Six members of the Jolly Boys were recruited by Reese Europe. Another group was recruited from Manuel Tizol’s band. The common link was Rafael Hernández because he was in both bands and recorded with both bands (for Victor) in 1917. You do a commendable and painstaking job of tracking the lives and careers of the Puerto Rican contingent after the war. What’s your take on the following quote by Juan Flores? Listen to the pianist, Angel David Mattos’ Danzzaj (2004, Jazz Boricua Productions). In my opinion, it’s a throwback to New Orleans pianist, composer Louis Moreau Gottschalk, who visited Puerto Rico and traveled around the island listening to Danzas in Ponce, Barceloneta, Mayagüez and who fell in love with Puerto Rican music and composed tunes around what he heard. Also, listen to cuatro players Pedro Guzman, Quique Domenech and Prodigio Claudio. I first heard the Puerto Rican sound in, Palmieri’s Azucar Pa’ Ti when I was a kid. The improvising and other parts of the recording had a unique flavor that made it distinctly Boricua. Azucar Pa’ Ti’s running time is nine minutes and thirty-five seconds, which was unheard of in 1965. For me, Papo Vazquez‘s music embodies the sound and spirit of Puerto Rico. The chapter on Women Instrumentalists is as fascinating as it is enlightening. Tell me about vocalist Lucy Fabery, the Bayrón sisters and the International Sweethearts of Rhythm. 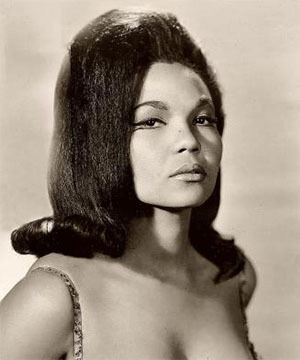 Lucy Fabery aka La Muñeca de Chocolate performed at one of the hotels in Cuba on the evening of December 31, 1959, the start of the Cuban Revolution. On January 1st, she was stuck in Cuba and couldn’t get home, so she asked to speak to the person in charge of the revolution, which of course, is Fidel Castro. She met with Castro and said something like, “Listen, I have to go home, and you shut down the airport.” Castro has tremendous respect for Puerto Rican revolutionaries past and present; he didn’t want to be an obstacle. To complicate matters, Fabery demanded to be paid. Ultimately, she got paid and returned to Puerto Rico, courtesy of Fidel. Fabery was a Boricua jazz singer of the 1950s and beyond. The Mayagüez native Elsie Bayrón came from a family of musicians, and two of her sisters Grace (Grecia) and Judy (Julia) Bayrón were instrumentalists who began their careers in jazz with the International Sweethearts of Rhythm, an outstanding all female, multi-ethnic orchestra organized in 1937. Both Grace and Judy Bayrón, a guitarist turned trombonist developed excellent reputations as instrumentalists with that band. Other women trailblazers include Angelina and Santos Rivera, Olga Hernández and Diosa Costello. You’re optimistic about the future of jazz in Puerto Rico. 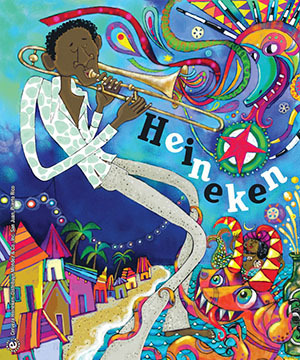 In the Condado area, on the last Sunday of every month, the Heineken Jazz Festival holds the outdoor event, Ventana al Jazz, which features new and established artists. It’s a beautiful atmosphere that brings together people from all walks of life, and the attendance is astonishing. It’s an indicator of where jazz is going in Puerto Rico. 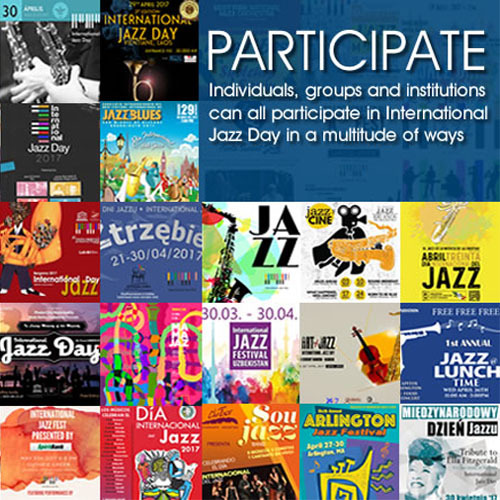 Also, there are jazz clubs like Carli’s Fine Wine and Bistro, owned by pianist, Carli Muñoz, which features live music Monday thru Saturday, Abracadabra Counter Café in San Juan, which features Latin jazz every Friday, Doña Ana Restaurant in Bayamon, Santorini’s in Ponce, Punto Fino near Bellas Artes and La Repuesta in Santurce among others. Trumpeter, composer, arranger Humberto Ramirez is very active in promoting jazz on the island. In my opinion, Puerto Rico is the focal point of jazz in the Caribbean. I can’t think of another place in the Caribbean that’s promoting jazz the way Puerto Rico does. Berklee in Puerto Rico provides instruction, performance opportunities, and scholarships and the Puerto Rico Heineken Jazz Festival has become one of the most popular music festivals in the Caribbean. Unfortunately, the Puerto Rican tourist industry doesn’t promote Puerto Rico as a haven for jazz lovers and unlike the Cuban’s, who have been very aggressive in promoting their music Puerto Rican musicians are not as assertive. That’s why the title of the book is, “Puerto Rican Pioneers of Jazz.” Otherwise, the information runs the risk of being misidentified or it gets lost in the shuffle. You know who does a lot of good work in Puerto Rico? Saxophonist, Miguel Zenón. Public Television in San Juan (Channel 6) aired a two or three part documentary film on the work he’s doing with young jazz musicians in Puerto Rico. He hasn’t forgotten where he came from; he’s giving back and edifying his community. Also, trumpeter Humberto Ramirez is organizing a tribute to Juan Tizol that’s scheduled for January 18, 2016, at Yerba Buena in Condado. You also cover the Rivera family, Juan Tizol, various instrumentalists, vocalists and include rare, historical photographs. What would you like readers to take away from your book? The purpose of the book is, to get the word out about the significant role Puerto Ricans played in jazz, from its inception. Thank you for shedding light on a subject that deserves more attention than it has received thus far. I hope your book and our conversation sparks a long overdue dialogue on Puerto Ricans and their contributions to jazz. 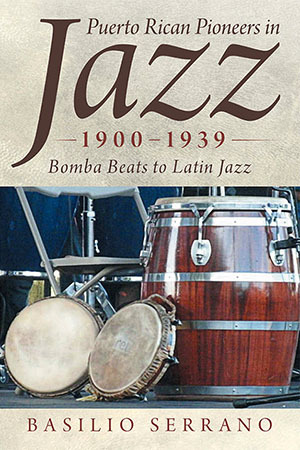 I’ll close our discussion with a telling quote from the author and musicologist Ned Sublette: “Any history of jazz that doesn’t mention Puerto Ricans is leaving something out.” As Puerto Ricans have been known to say, PUNTO! This 1918 photograph was taken in France. Pictured is Rafael Hernández, with his brother Jesus “Pocholo” Hernández in their WWI uniforms. Photography courtesy of Chali Hernández; son of Rafael Hernández and curator of Sala/Museo Rafael Hernández of the Universidad Interamericana in San Juan, Puerto Rico.